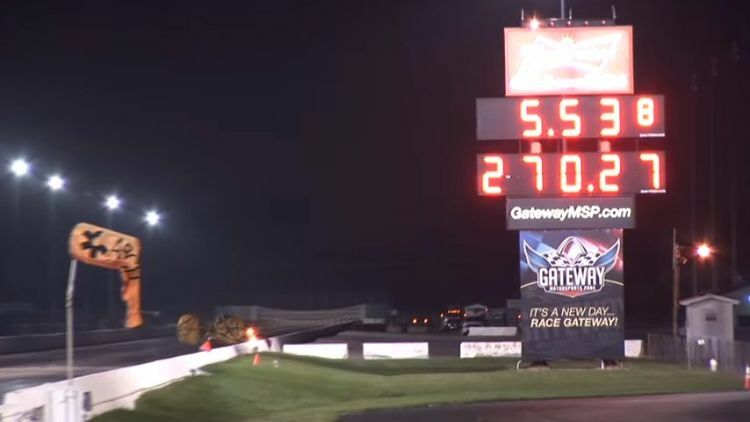 Watch as the super fast and super mean Q80 Camaro breaks a top speed record, going an amazing 272.83 mph and finishing the quarter mile in just 5.46 seconds. The racetrack announcer cannot believe it and rightly goes ballistic when this beast smashes the previous record. This all went down recently in St. Louis at the Gateway Motorsports Park and you can see the happy reaction of the people in the pit area as they congratulate each other and celebrate. The Q80 Camaro is an awesome piece of machinery that took out all of the competitors and did so with ease. 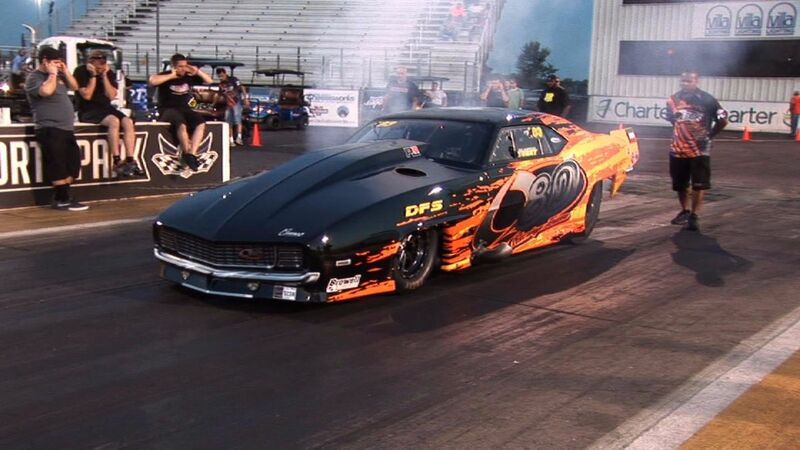 The Q80 Camaro gets going quick – bulleting from 0-60 in just 1.2 seconds. That’s more than two times faster than the nippiest Porsche you’ll find. While it is definitely not a street legal car, the Q80 is perfect for the strip. The Q80 has been in the news before within the auto world, being the first turbo car to perform an 1/8 mile run in 3.56 seconds, according to Drag Zine. Proline Racing owns the Q80, and the car was built by Jerry Bickel Racing. It has impressed auto enthusiasts in every venue that it runs in. It is, by far, the fastest strip car out there. Turn up and speakers and tune in to the Q80’s sprint below. Please SHARE if you like it!